Tadasana, or mountain pose, is known as the “blueprint pose” for all other asanas. This foundational asana is related to “anatomical position,” which is the anatomy textbook drawing of the human body in what is generally referred to as “neutral”: standing upright in a vertically stacked posture, with two symmetrical sides. A word often used synonymously with tadasana is samasthiti, which means “equal-standing”—indicating that the body is aligned in such a way as to be equivalent, or symmetrical, on both sides. This position of symmetry and equivalence on both sides of the body is an ideal that yoga students are taught they should strive for. Among the many purported benefits of tadasana are that it improves posture, corrects muscle imbalances, and teaches us the foundation for all other standing poses. As a result of this emphasis on tadasana-like symmetry, many yoga students view any asymmetries in their bodies as inherently problematic. In fact, worrying about bodily asymmetries isn’t limited to the realm of yoga—we are also taught by bodyworkers, physical therapists, chiropractors, and many other fitness and health professionals about the importance of symmetrical alignment. As a result of this emphasis on tadasana-like symmetry, many yoga students view any asymmetries in their bodies as inherently problematic. For example, if we observe when we stand that one of our feet likes to turn out more than the other, we feel that this is an imbalance we should correct by turning both feet to point forward. Or if when practicing janu sirsasana (head to knee pose), we notice that we are able to fold forward over one leg further than the other, we assume there is an asymmetry between our two sides that we should work to equalize. The same can be said for many other bodily asymmetries—such as one shoulder that sits higher than the other, one hip that can externally rotate more than the other, and a pelvis that is rotated slightly off-center. Although an ideal of symmetry seems intuitively valuable in yoga, in reality no strong evidence exists to support this common belief. Countless scientific studies have drawn no link between body asymmetries and pain, dysfunction, and poor health. While this realization may seem surprising and completely antithetical to what most of us were taught in our yoga teacher trainings, a look at the inner structure of our body may help us begin to recalibrate our views on symmetry. 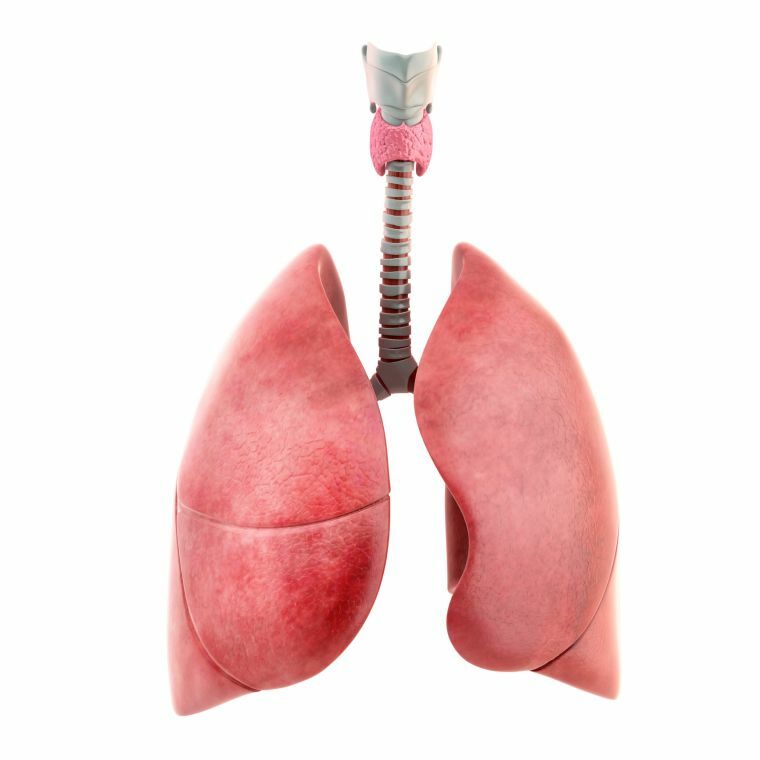 Although yoga is a breath-centered practice, we don’t often pause to appreciate that our two lungs are innately different from one another in both size and structure. Our right lung is made up of three lobes while our left lung has only two, and our left lung is actually smaller than our right lung to make space for our heart. And whereas our heart sits to the left of center, our large liver sits to the right of center. A little-known fact is that the asymmetrical placement of our heart and liver means that our diaphragm, our main muscle of respiration, is also asymmetrical! The right side of the diaphragm actually sits higher inside of us, while the left side sits somewhat lower. If such asymmetry is naturally built into our very internal structure, is it logical to assume that asymmetries in how our body looks or moves from the outside are inherently problematic? Let’s look at few examples. It’s important to remember that even though someone might have scoliosis and also experience pain in their body, that alone does not mean that the pain was caused by the scoliosis. Correlation does not imply causation, and pain is a much more complex and multi-factorial phenomenon than many oversimplified models take into account. If a scoliosis asymmetry is truly an inevitable cause of pain, then it would be the norm for all people with scoliosis to have back pain, but the scientific literature demonstrates that that is simply not the case. In fact, one recent study looked at 500 people aged 25 to 64 with no back pain at all, and found that 13.4% of them had scoliosis. [Ref] Another study examined chest radiographs of 760 men and women over the age of 50 and found that 25% of this entire population had scoliosis. [Ref] These studies suggest that scoliosis is much more common than we have generally believed, and many people with no pain at all have this condition without even realizing it. Another form of asymmetry that receives attention in the yoga world is muscle strength imbalances. These imbalances are often blamed for pain, dysfunction, and poor posture. A classic postural example is rounded-forward shoulders, in which the muscles of the chest (i.e., the pectorals) are believed to be too strong, while the muscles of the upper back (i.e., the rhomboids) are believed to be too weak. To address such perceived imbalances, yoga teachers often use tadasana to help students “re-align” their body to find a neutral, optimal stance. However, there is a lack of evidence to support the notion that muscle imbalances cause pain and dysfunction in the first place. Muscle imbalances are most likely a normal, healthy result of the body adapting to the activities it does regularly. For example, consider a guitar player. It’s widely known that when someone starts playing the guitar regularly, she or he will develop significant calluses on the fingers of just one hand (usually the left). This is a normal response as the body adapts to the loads of guitar-playing. We generally understand that this asymmetrical callus-development is desirable because it makes it easier to play the instrument, and we wouldn’t think to pathologize these calluses by suggesting that guitar players should also develop calluses on their right hand in order to keep their two sides symmetrical. That would be silly! If we look to nature, we see that organisms in the natural world all possess a quality of balance, but not symmetry. Think of a tree. A tree is a perfectly balanced structure in that it is able to maintain its upright posture. But if you draw an imaginary line down its center, it’s clear that it is not symmetrical on both sides. A tree’s visual appearance is shaped by the environment in which it grows. Factors such as how much wind a tree has been exposed to and from which direction, how level or inclined the ground is, and from what angle the sun shines on it are all elements that form the tree’s ultimate structure. We all know a tree when we see one, but there is no ideal form that represents the exact structure a tree should have for optimal health and longevity. There is a natural variability among trees, just like there is a natural variability in the form of the human body. Tadasana is a core asana that yoga students should practice. The alignment principles of tadasana are helpful to learn, because we can use them to see our own body and our own alignment more clearly. But when yoga teachers treat the “neutral” alignment of tadasana as inherently superior for reasons of pain, function, and health, they convey a counterproductive message to their students. Tadasana is just one of an infinite number of ways the body can be positioned. The human body is adaptable and resilient, and we can have pain-free, well-functioning bodies in any number of varying alignments—asymmetrical, curved spines, leg-length discrepancies, muscle imbalances, and all. Scientific evidence simply does not support the belief that symmetrical alignment is more ideal than any other alignment. 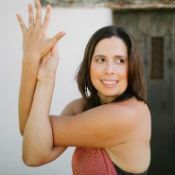 Interestingly, there is a widespread recognition in the yoga world that we should avoid comparing ourselves to other students in the room who may be more “advanced.” We are told that we should practice acceptance of whatever version of a yoga pose is appropriate for our body in the moment, without worrying about what other people’s bodies look like in the same pose. But what’s less widely understood is that when we idealize the symmetry and “optimal alignment” of a pose like tadasana, we are still comparing ourselves to someone: the imaginary, symmetrical, vertically aligned person in the anatomy textbook drawing. While that drawing is a helpful image for the purpose of learning about anatomy, despite popular belief, it is not a depiction of the optimal way the body should be positioned. It is simply one arbitrary position that is used as a reference point in the anatomy and medical fields. Instead of emphasizing bodily symmetry, a more helpful concept for yoga teachers to focus on is balance. It is tempting to conflate these two definitions, but whereas symmetry is the quality of sameness on both sides, balance is about steadiness of position—like the tree that has adapted to its environment and does not fall over. Instead of emphasizing bodily symmetry, a more helpful concept for yoga teachers to focus on is balance. For example, picture yoga’s side angle pose (utthita parsvakonasana). It’s common for students to unconsciously lean mostly into their front leg in this pose. This causes them to lose a sense of grounding through their back leg, which results in a posture that is less stable than it could be. Many students will experience a more balanced pose if they can access a rooting engagement from their back hip down through their back heel. This results in an asana that is not necessarily more symmetrical, but is more balanced. If someone were to unexpectedly bump into this student in side angle, the student would be less likely to topple over— because they are embodying their pose in a more balanced way. This same principle can be applied to tadasana and to all of our yoga poses in general. If we are able to experience a strong sense of stability, groundedness, and ease in our body, then our naturally asymmetrical body has found its perfect balance.